Decorate your arrangements with these natural cedar wood roses on stems. Cedar wood roses are not actually flowers. 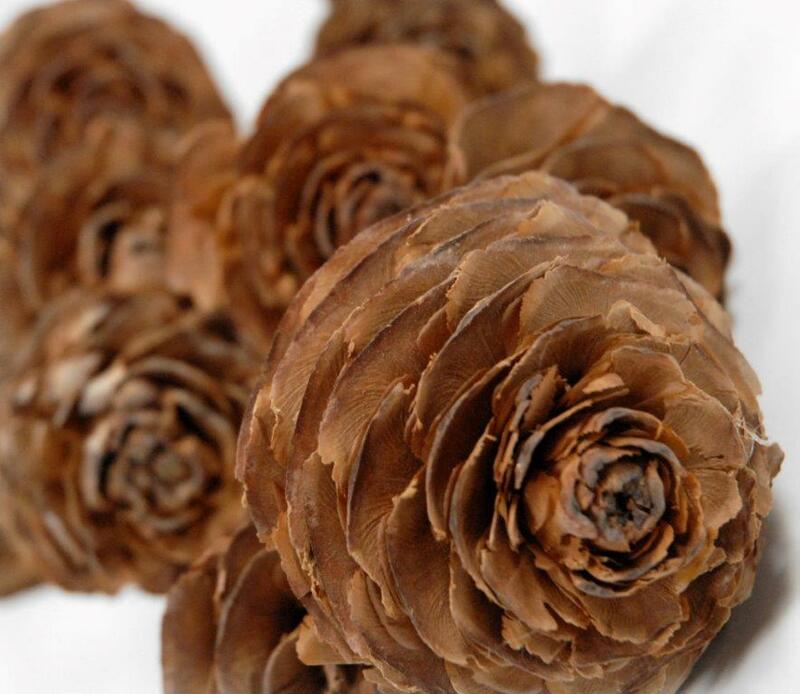 They grow on cedar trees and naturally take on the shape of a wood rose. Use in your flower arrangements and wreaths or for decorating arches, centerpieces, and more. Makes a unique bouquet. Cedar Wood Rose Our cedar wood roses come from Michigan. Each cedar rose is 16" x 1-1/2" to 2" wide.